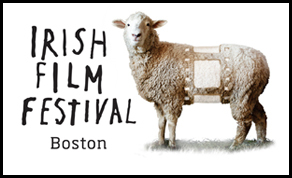 The Irish Film Festival, Boston (BIFF) returns to the historic Somerville Theatre for its eighteenth annual celebration of Irish film in Massachusetts from Thursday, March 22 through Sunday, March 25, 2018. Attendees this year will notice a few themes among the 30+ feature films, shorts and documentaries – from women in film and science, to music and animation. Breakthrough feature ‘Kissing Candice’ kicks off the Festival on Thursday evening. Its showing at the IFF will be its U.S. premiere. An edgy independent film that just had its European premiere at the world-renowned Berlin Film Festival, ‘Kissing Candice’ is a coming of age drama. Candice longs to escape the boredom of her seaside town, but when a boy she dreams about turns up in real life, she becomes involved with a dangerous local gang. The Most Inspiring Short film, Paul Horan’s ‘Bless Me Father’, will screen with ‘Kissing Candice’. Director Paul Horan will be on hand to receive his award and do a Q&A, afterwards. Friday brings the Director’s Choice Feature ‘Maze’ being shown in its New England premiere. This film is inspired by the true events of the infamous 1983 prison breakout of 38 IRA prisoners. Actor, Martin McCann will be on hand to accept the award on behalf of Director Stephen Burke. While Director’s Choice Short Awardee, Eamonn Murphy will be present for the screening of his film ‘Lost Memories’. A Q&A will follow both screenings. A unique and science-focused addition to this year’s Festival is this year’s Global Vision Documentary ‘The Farthest’. This 2017 documentary, directed by Eimear Reynolds, will be shown Saturday in cooperation with, Massachusetts Institute of Technology, STEM on Stage, and Women in Film & Video New England (WIFVNE), which promotes proactive images of women and works to empower all women in the media industry to achieve their professional potential. There will be a post-screening panel featuring the director Eimear Reynolds, members of WIFNE, MIT and STEM on Stage. Tune in to Facebook live to see this event. ‘The Breadwinner’, the recipient of this year’s Special Jury Prize, is a 2018 Oscar-nominated animated drama film by Cartoon Saloon directed by Nora Twomey and executive produced by Mimi Polk Gitlin and Angelina Jolie. It’s based on the best-selling novel by Deborah Ellis and will be shown Saturday. In total, 20 shorts, eight of which have female directors, will be featured with two short film programs –one on Saturday and one on Sunday, Roisin Kearney, Director of ‘The Family Way’, will be in attendance. Amy-Joyce Hastings short film ‘QED’ will also be shown with the feature film ‘The Limit Of’. Director and Producer, Alan Mulligan and Anthony Mulligan will attend the screening in Boston and do a Q&A also. ‘Pull like a Dog’, another story from a small village in South West Ireland, is about Gary and Paul O’Donovan, two young rowers who came from nowhere to become household names after bolting their way to silver medal success at the Rio Olympics. The film has a local Massachusetts connection with the Head of the Charles Regatta being featured, as the two brothers get ready to compete on the world stage. Also a part of the Northern Ireland program on Sunday, Award-winning documentarian Alex Gibney (‘Mea Maxima Culpa: Silence in the House of God’) reopens the case of the unresolved Loughinisland massacre in Northern Ireland with ‘No Stone Unturned’. For the full list of films and schedule of the 18th annual Irish Film Festival and to purchase tickets.